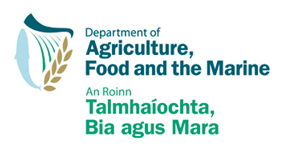 This project Innovation in Irish Timber Usage is funded by the Department of Agriculture, Food and Marine of the Republic of Ireland under the FIRM/RSF/COFORD scheme. In order to give the results all-island impact National University of Ireland, Galway and Queens University, Belfast are collaborating partners in the research. The study intends to collate all of the available historical data of the properties of Irish Sitka spruce, from published and unpublished sources. Moreover, testing of a large number of samples will be undertaken to establish the properties of the current resource. This research endeavour to determine the durability of reinforced timber beams with respect to load duration and variable climate and to develop appropriate strength modification factors. The development of a sustainable means of creating moment resistant connections within timber frames has been also undertaken. The following objective of the project is to investigate the suitability of Irish-grown Sitka Spruce for the manufacture of cross-laminated timber (CLT) panels, and to develop the necessary engineering data to support the commercialisation of Irish-made CLT. This project will be disseminated to the national and European standards committees, the timber processing and wood products industry, Enterprise Ireland, Enterprise Northern Ireland, Intertrade Ireland, and engineering designers and architects. Flow diagram below presents the linkages between the project research tasks.